LED Light giving crisp clean display. 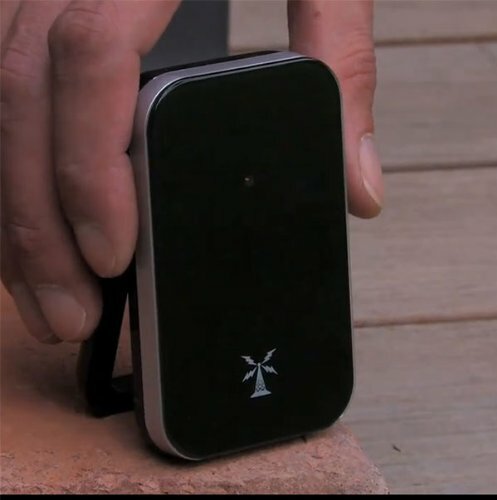 Includes an outdoor sensor and mains adaptor. Main Unit powered by either 3x AA Batteries (not included) or the mains adaptor (included). Unit displays sunrise and sunset, moon phases and day of the week. 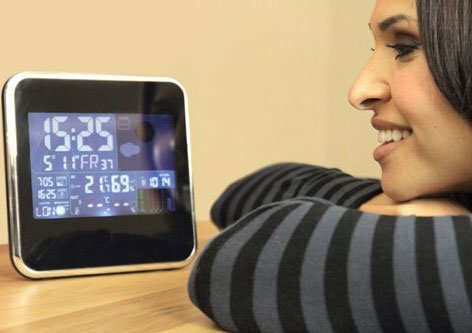 Has 2 programmable alarms with snooze function. Main unit size approx: 19x13x4.7cm. 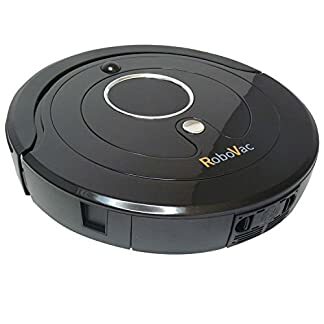 Outdoor Sensor Size Approx: 6.7×2.3×7.3cm. 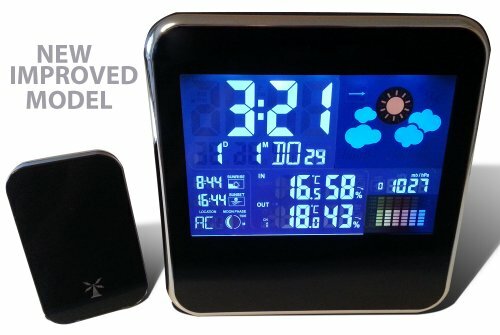 The new and improved Wireless Weather Station from Think Gizmo’s now includes a mains adapter as standard. 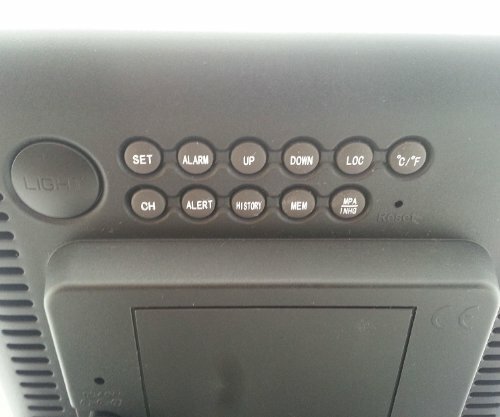 Also included is a wireless weather sensor which can be placed up to 100m from the main unit. 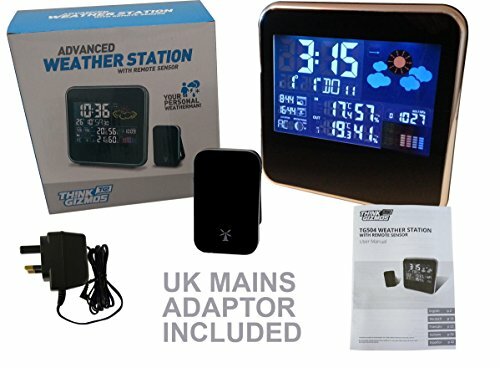 This modern looking weather station is the most stylish and feature packed weather station we have found for under Â£50. 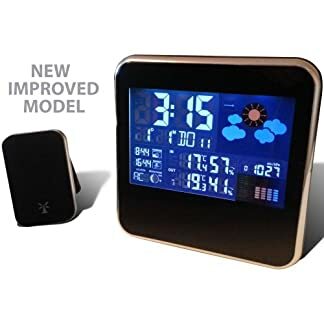 The included weather sensor with this product is more advanced than the standard weather sensors as it also transmits humidity readings to the main unit as well as the temperature. 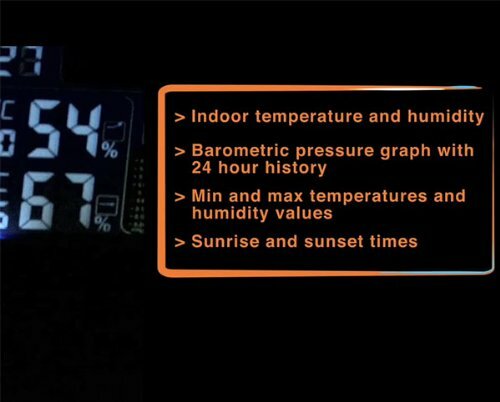 The display is crisp and clear and provides you with a vast array of information including: time, date, indoor/outdoor temperature, humidity, barometric pressure, weather trend for 24 hours, mood phases and sunrise/sunset times. As well as these it also includes 2 programmable alarms with a snooze function. 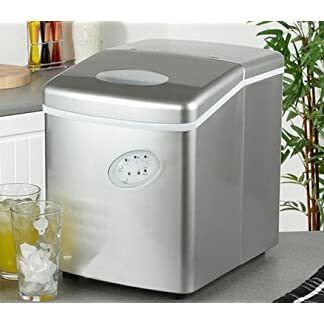 With its stylish display this unit will look great at home or in the office. 1x Wireless Weather Station Main Unit. 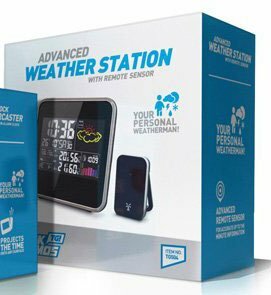 1x Wireless Weather Station Sensor Unit. 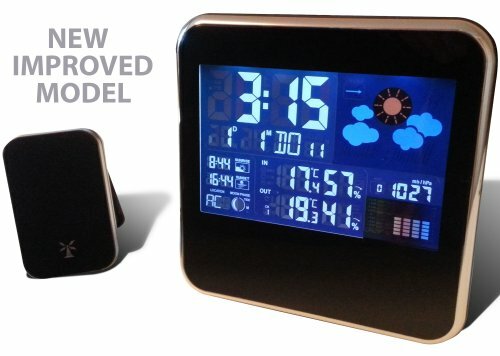 1x Wireless Weather Station Instructions. 1x Wireless Weather Station Mains Power Plug.